Need to zoom in or out of your screen in Google Chrome? It is very simple. 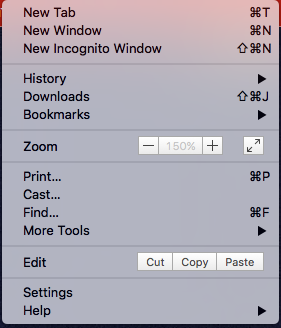 The simple little tool of zooming in (or out) on your computer screen can help out a lot. Below you will see a GIF followed by an embedded YouTube clip (same as GIF but with audio). Below that you will see the instructions (with pictures). Make sure to click on the three dots in the upper-right hand corner of your screen. You will then see the ability to Zoom in or out.